The halo ring option is modern and beautiful. In this blog, Preusser Jewelers explains how you can customize your halo ring to suit your personal tastes and add even more uniqueness to an already stunning diamond profile. A halo will make your diamond look a little larger. 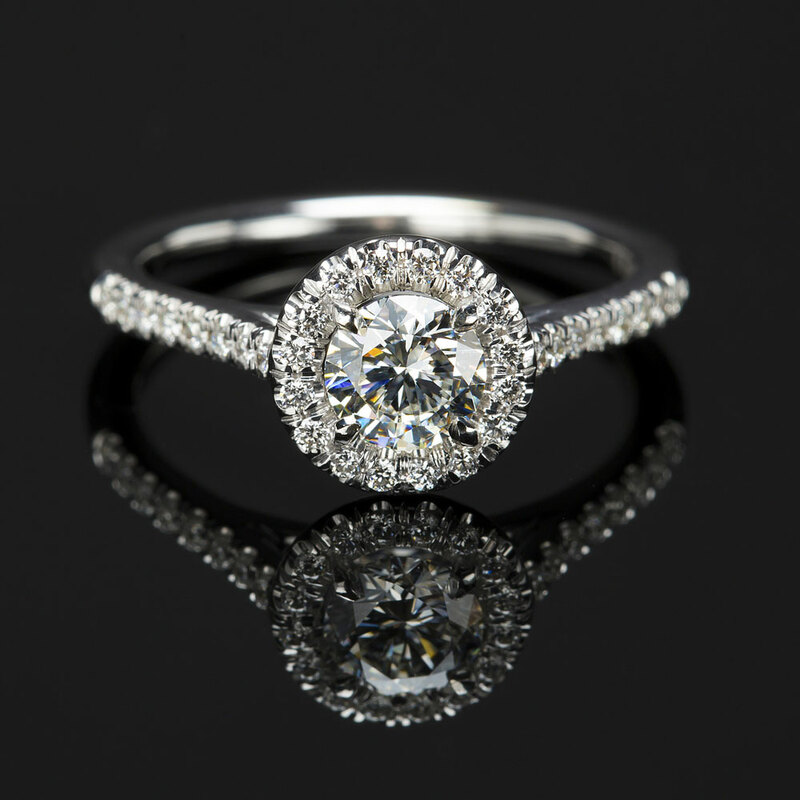 Round diamonds have a few more halo-shape choices. Other shapes tend to have fitted halos. When you decide you want a halo, remember that you can add one, two, or even three halos. 14kt, 18kt, or platinum are all great. As you select your metal, make sure that you are considering how it will look with the color and clarity of your stones. This is especially important if you opt for a colored gem halo around your center stone. Since 1850, Preusser Jewelers has offered fashion-focused and traditionally elegant bridal and fine jewelry. We can help guide you through the ring selection process and will inform you of the benefits of certain settings and cuts for your specific tastes, finger shape, and lifestyle. Contact us today for more information about our collections, customizations, and services.